The Delta-CAP range combines all the advantages of the Tetra-CAP with the driving comfort and stability of monocoque trailers. 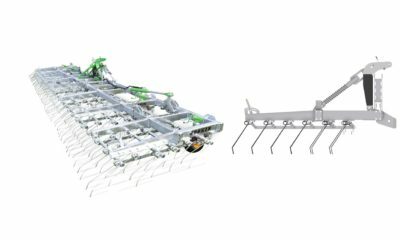 The design of the chassis and drawbar is based on the Trans-CAP range, with the difference that they are entirely galvanized. The running gear, the JOSKIN Roll-Over© boggie, is bolted and movable. Different panels (500, 600, 800 mm) are available. 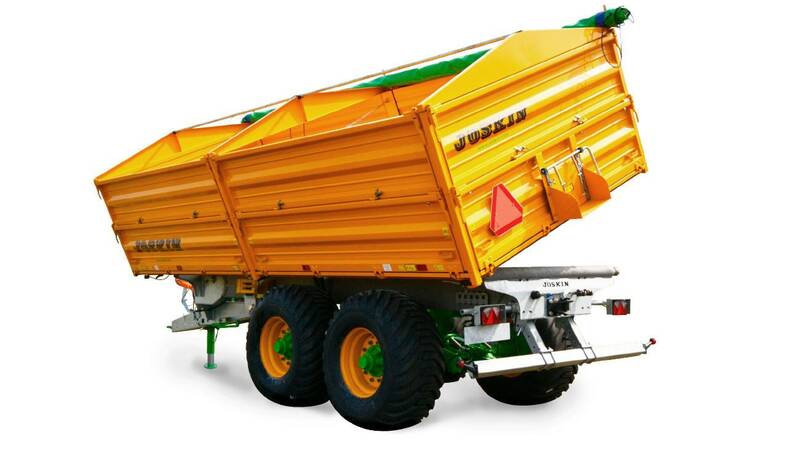 Tipping trailers with drop sides are standard manufactured in the same special high tensile steel as the one used to manufacture road transport vehicles. It is the best guarantee of solidity for a relatively low weight. The bottom plate is 4 mm thick. The drop sides have a structure with closed profiled tubes, which allows to increase the resistance to pressure of the walls and give a fluid and modern design to the machine. 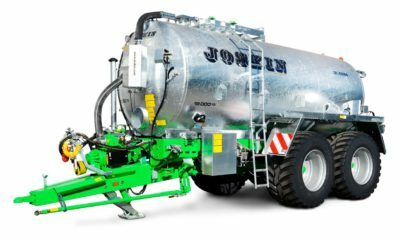 JOSKIN tipping trailers with drop sides were developed to be as modular as possible. Many volumes and heights are available, which allows to reach higher loading volumes. The side panels can be demounted in order to have a bale trailer. 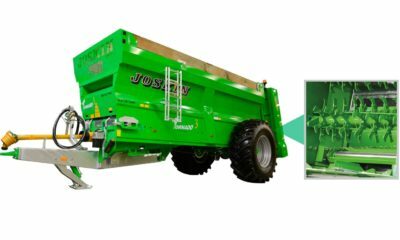 In some difficult to reach places or in order to tip precisely, it can be useful to be able to tip on the sides of the trailer. It is the purpose of the “three-side tipping” option that allows to tip backwards, to the left or to the right. In this case, the tipping cylinder is fastened to an oscillating frame and the lateral tipping angle is limited by an end of stroke cable. 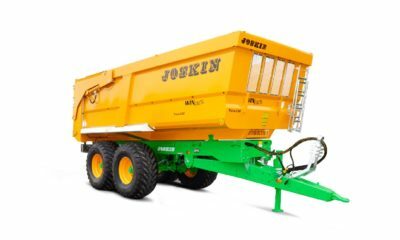 JOSKIN tipping trailers with drop sides are all standard fitted with a rear yoke with complete connections for the lighting, braking system and tipping of a second trailer. The low center of gravity of the tipping trailers ensures a better stability and in this way an improved driving comfort both on the roads and in the fields. Body Steel body floor: 4 mm thick.